Riser system is a key equipment for offshore oil and gas development. When conducting riser design, fatigue failure mode is the chief one among the many failure modes which should be taken into account. To assess the fatigue performance of riser accurately, it is necessary to conduct fatigue tests. Resonant bending fatigue test is one effective method for fatigue tests of risers. 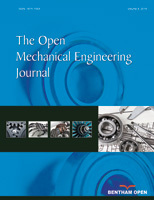 In this paper, the principle of resonant bending fatigue test and test procedures are presented firstly, and then a finite element model using ABAQUS is created to simulate the resonant bending fatigue test, and the results from the finite element model are compared with the experimental results. The good agreements between the FEM results and experimental results verify the accuracy of the finite element model in this paper.